I have a big crush on Joy. There is nothing that she creates that doesn't make my mouth water and leave me wanting to drop everything and rush to the kitchen. These scones are yet another example of why I should do just that. The smell of orange that filled the house while I made these scones was amazing. I want to make them every day. You should too. 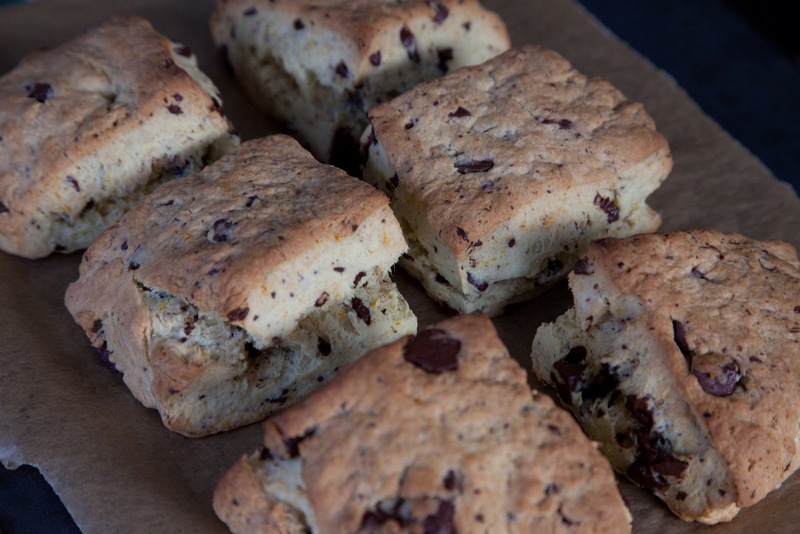 These scones make a perfect afternoon snack or, dare I say it, breakfast. Preheat the oven to 220˚C. Place the flour, sugar, zest, baking powder, baking soda and salt together in a bowl. 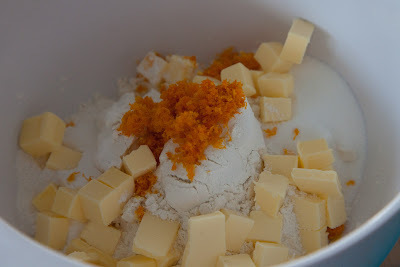 Add the cubes of butter and rub it into the dry ingredients, until it resembles breadcrumbs. If you don't have any fancy tools for this step, just get in there with your hands like I did! 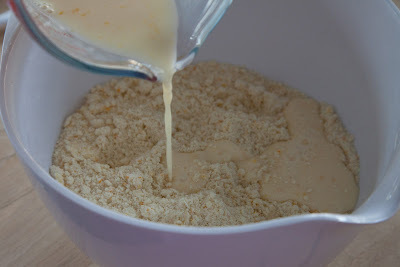 In another bowl beat together the milk and egg yolk and then add this to the dry mixture. Stir together until you get a nice soft dough, adding in a little more milk if the mixture is too dry. 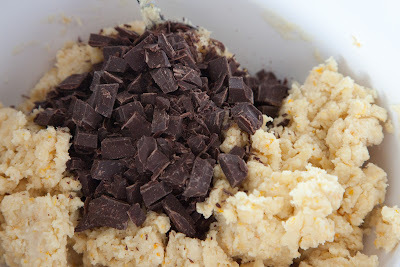 Add in the dark chocolate and fold through the mixture. Tip the mixture out onto a floured work surface and knead for about 30 seconds. 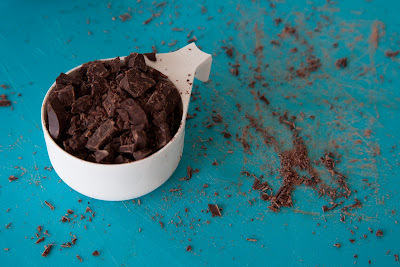 Roll the mixture out to a thickness of about 1 inch and then cut into about 6 pieces. 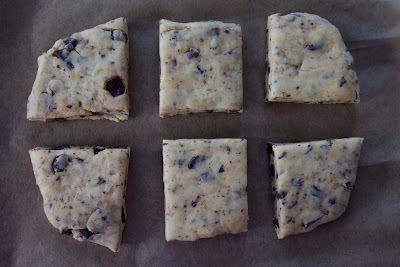 Place the scones onto a lined baking sheet and bake for about 12-15 minutes. Note: I didn't have any buttermilk but it's easy to make your own. For every cup of milk, just add 1 tablespoon of vinegar and leave it to stand for about five minutes.